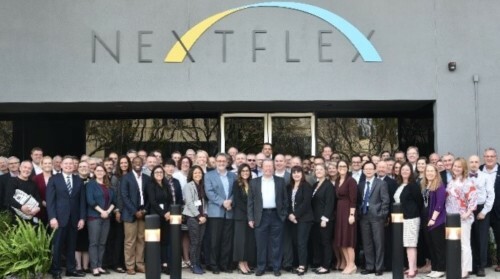 NextFlex hosted the Manufacturing USA Spring Network meetings last week at their headquarters in San Jose, CA. Participants included representatives from each of the 14 Manufacturing USA institutes plus government partners from offices in the Department of Defense, the Department of Energy, and the Department of Commerce, all of whom support and guide the outcomes and progress of each institute. Like NextFlex, the goal of all innovation institutes is to increase US competitiveness, facilitate technology transition, and train our workforce for 21st century manufacturing jobs. In each of our respective technology areas, the Manufacturing USA institutes advance manufacturing by connecting people, ideas, and technology, breathe life into promising early-stage research and propel new products to market.